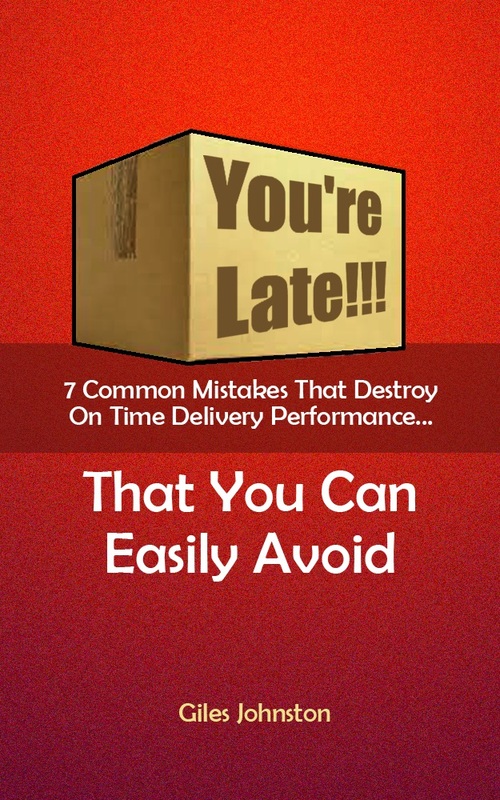 Drive up productivity and on time delivery with my free guide. The way each process is managed in your business has a direct impact upon the overall lead time. If things are taking too long it is often not the individual processes that are to blame, but rather the way these processes are linked together. I can help your business to improve its lead times by reviewing how the processes are linked together, helping your business to become faster and more responsive to your customers. When business processes are linked together correctly, there is no confusion and fewer problems arise. Communicating the right information at the right time in the right way can rapidly improve the way that your business delivers its products and services. I have seen my clients rapidly improve their on-time delivery and reduce their lead times from making the right agreements between the various steps in their system. These significant (and sustainable) gains sometimes take effect in only a matter of days. Map out your business process(es) and identify all of the linkages. Find ways to improve the linkages, and at the same time improve the working relationships between functions / departments. Review your process maps and ask yourself ‘where does the continuous flow stop?’ and then develop strategies to minimise or eliminate the delays. Identify places in your process that are in the wrong sequence, or no longer add value to the process. Re-organise or eliminate accordingly. I hope that you find the tips useful. If you would like some specific help with lead time reduction then please get in touch using the contact page. Giles Johnston is a Chartered Engineer who consults with businesses to improve their on time delivery performance. Giles is also the author of 'Business Process Re-engineering'. Improve your productivity and on time delivery today. Download my free guide and email course by signing up here.